My sister, Trudi, who works with low-income families in Phoenix, Arizona and who supervises therapists and social workers there, came to me in early 1990 and said that children in her programs were exposed to a tremendous amount of violence in the communities where they lived. She could find virtually no training materials that could help her to prepare her staff for the challenges they faced in this regard. Other colleagues around the country gave a similar report. So, with the support of Fred and Family Communications, Inc. and two fantastic teams of mental health consultants, I got to help design and produce two national training projects that addressed issues relating to children and violence. In both cases cinema verite documentaries were the central component of the work. Joe did most of the cinematography and it is riveting. The first project was made specifically for Head Start and child care providers – the films offer close encounters with children affected by violence, and with the adults caring for them. Betsy McAlister Groves of the Child Witness to Violence Project at Boston Medical Center led an outstanding team of consultants from around the country to advise us. The videos won numerous prizes including First Prize for documentary film from the Council of Foundations. 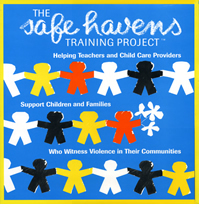 For more Information about The Safe Havens Training Project, contact us. Law enforcement officers and other first responders are usually the first professionals to encounter children exposed to serious violence. Yet police typically receive little training in interacting positively with children. A group of clinicians led by Dr. Steven Marans at the Yale Child Study Center and their police colleagues at the New Have Department of Police allowed Joe and me access to police and clinician interactions with children for a year. Steve and his staff were tireless contributors to the entire project, as was Betsy McAlister Groves. These encounters – between police and children, but also between police and clinicians – were the basis of a second set of documentaries and training materials. 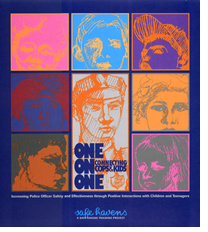 For more information about One on One: Connecting Cops and Kids, contact us. ©Seldom Seen Productions. ..All Rights Reserved.